12 hours ’til season 2 of Glee! 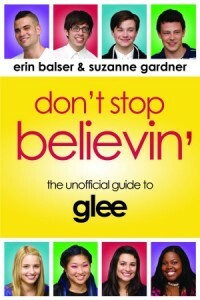 It’s almost here, gleeks! Just 12 more hours! And to help tide you over for this last little bit, check out this video clip from one of the opening scenes of the episode! Also, don’t forget to check back here at 9 a.m. EST on Wednesday morning for my Gleecap post on the premiere – I’ll be doing one each and every week, so stay tuned! ← Vote now for the Glee Summer Music Showdown CHAMPION! Oh, who cares, no one knows who he is anyway! 😦 I was hoping we would get to know him though! He always seemed so happy….